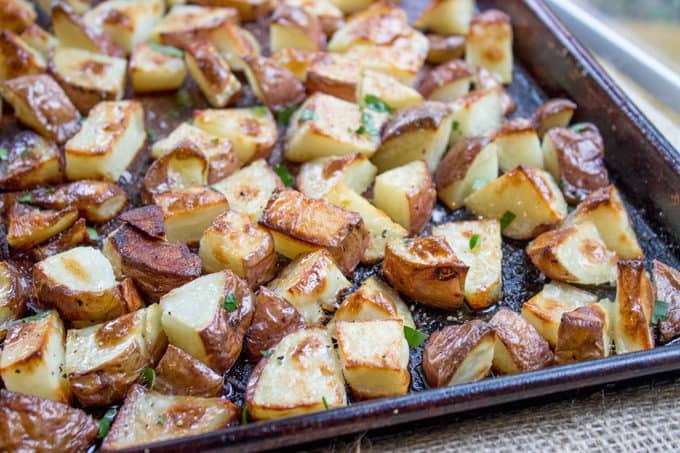 Oven Roasted Red Potatoes – these roasted red potatoes are an easy side dish that takes just a few minutes of prep and goes with nearly any meal. 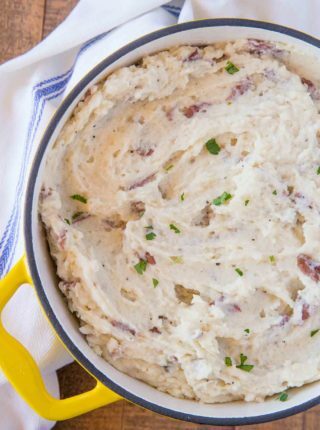 Add baked red potatoes to your repertoire! 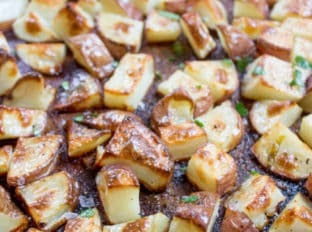 Roasted Red Potatoes – Why the red potato? Red potatoes don’t need to be peeled, I rub the peels with my hands while washing them and I’m done. 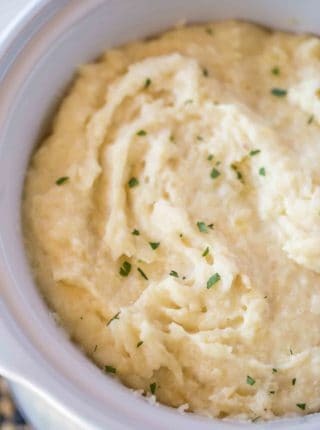 Using russet potatoes means you either have to scrub the potatoes really well if you’re keeping the peels on or you have to peel the potatoes. We personally love keeping the peel on, so I’m usually the one standing over the sink scrubbing them to within an inch of their lives. Cover your baked red potatoes with caramelized onions, secret sauce and cheese like with my In-N-Out Animal Style Fries. When you put the potatoes on the tray before they go into the oven, I highly recommend flipping them until a straight edge is on the pan. Look at the photo below, see the browned edges? Don’t waste it on a rounded edge where you’ll get only the tiniest bit of browning where the rounded edge is touching the pan. 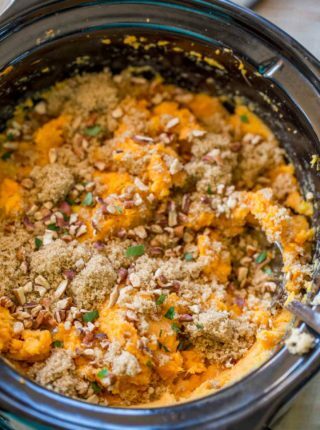 This will make your roasted red potatoes truly roasted crispy brown! 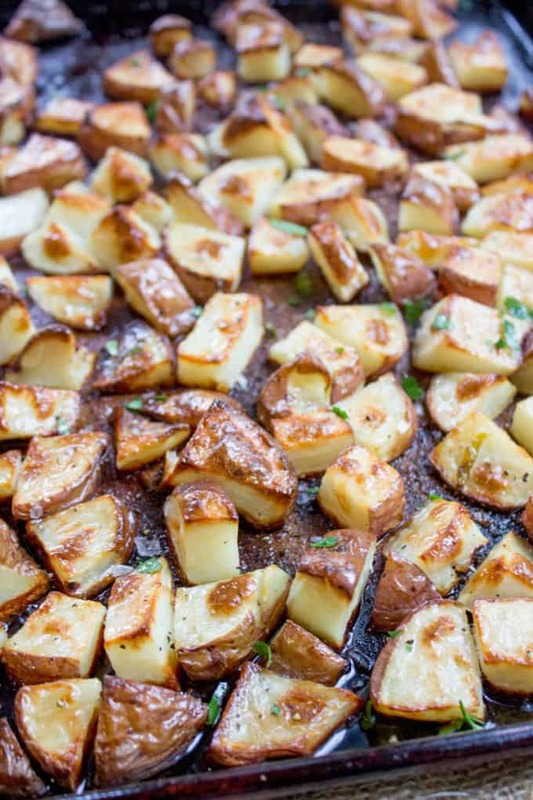 I love how fast and easy these Oven Roasted Red Potatoes are, especially if your attention is divided by kids (behind the scenes note: I am typing this up three hours later than I normally do because…well…kids). 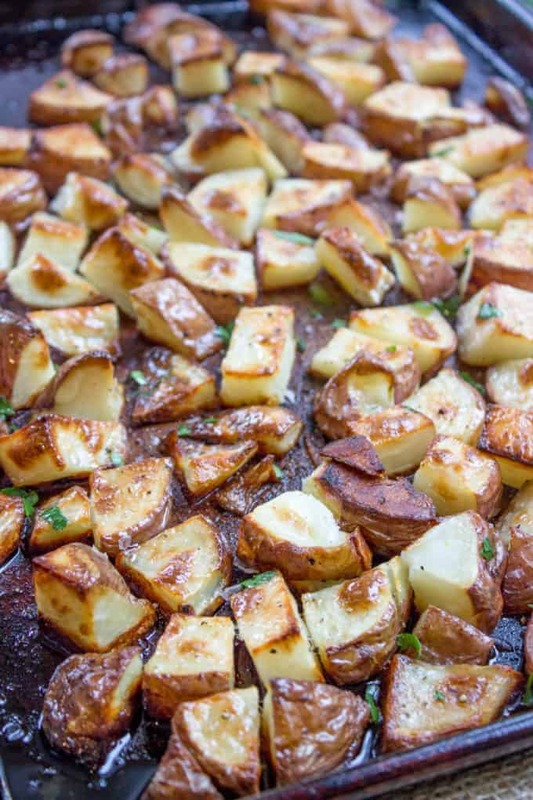 Oven Roasted Red Potatoes are an easy side dish that takes just a few minutes of prep and makes the perfect side dish for your favorite meal. Combine potatoes, oil, salt and black pepper in a large bowl and stir to coat. Pour out onto a large baking sheet. Bake 20 minutes or until browned on the bottoms, then with a spatula, flip them to get a second side browned. Add chopped parsley if you would like. 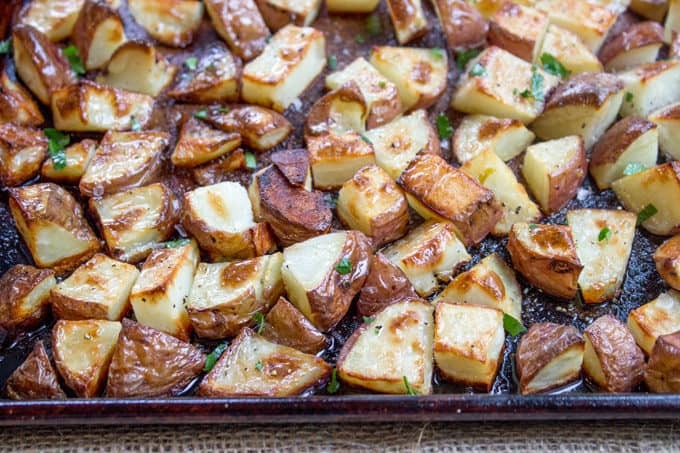 These potatoes look like crispy perfection! These look so inviting. I wish I had this in front of me right now. 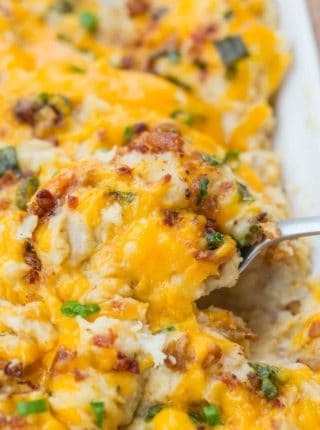 I love potatoes and red are the perfect pick for this recipe. Love your tip to “flip them flat!” More golden crispiness all the way around 🙂 These look fab and are perfect as a side to so many things!